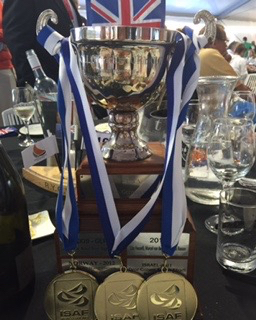 Last week, we raced at the Para World Sailing Championships. This year has been a roller coaster from start to finish, with the regatta results not really showing all the work that has been going on behind the scenes. I think this week we really proved that we are made of some pretty strong stuff, not only as a team, but really in our individual strengths. 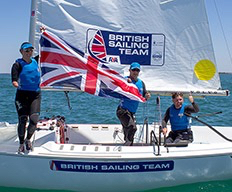 Harken and North Sails One Design for providing some ace kit, especially Brian Hayes at North OD, who managed to sort our sails out from hospital!!! David Heritage Racing Yachts for keeping Tantrum up to scratch and for making sure she measured, along with Bas Edmonds from the RYA who made a few trips out to the shed!! Icom UK Official Fan Page for providing the Teams VHF radios, and Raymarine for providing the Race Master Compasses, and Zhik for the super awesome clothing! morning boat swimming and the endless repairs and all the little things that add up to make a huge difference! Thanks for the house, the car, the catering, the laundry, the random excursions to buy new buoyancy bags, new sunglasses (when Steve has thrown his over the side of the boat) the compass reminders, the watch batteries, the coats on the dock, the coffees…. Basically the list is endless, and we really appreciate all that you do! We’ve got plenty to work on still, but we’re fighting. Now we’re going have a few days off, and enjoy Melbourne before heading onto the next Regatta, the ISAF Sailing World Cup. So for the 3rd time, we are the World Champions!!! Next Post Try new things?